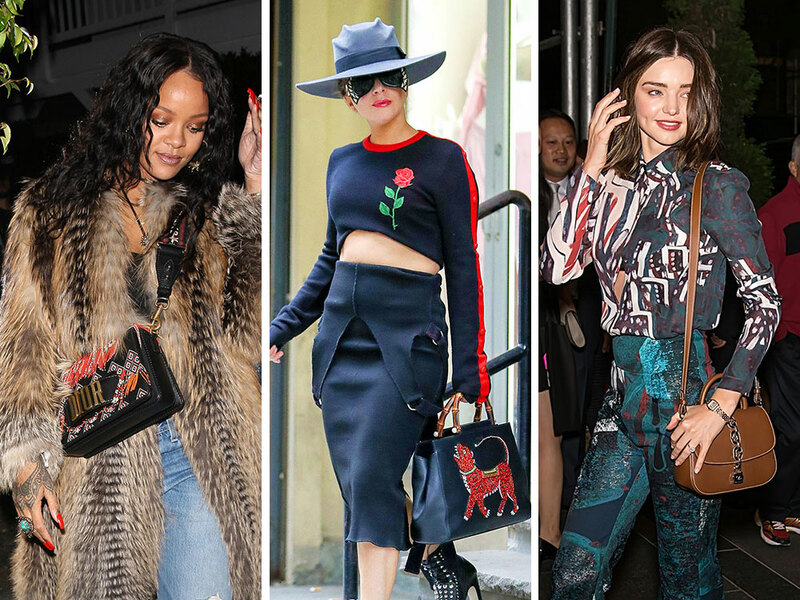 There's a lot of flash and glitz in this celeb handbag round-up. Celebs had fancy plans (or plans to be in front of a camera at 4 in the afternoon), and they dressed accordingly. Fur coats, sequined pants, studded boots—no glitz was spared. And after a long, low-key, stripped down, denim-heavy tour for her last album, Lady Gaga has finally treated us to a truly Gaga-worthy fashion ensemble, complete with a gorgeous Gucci bag. Here's Amy Schumer, sneaking through LAX with a John Russo Tote. We can find precious little info about this brand, but that's what the embossed label says. J-Lo carried this chic Elie Saab Clutch to the event carpet of the 2017 NBCUniversal Upfronts, where she promoted her drama series Shades of Blue, which was just renewed for a third season. 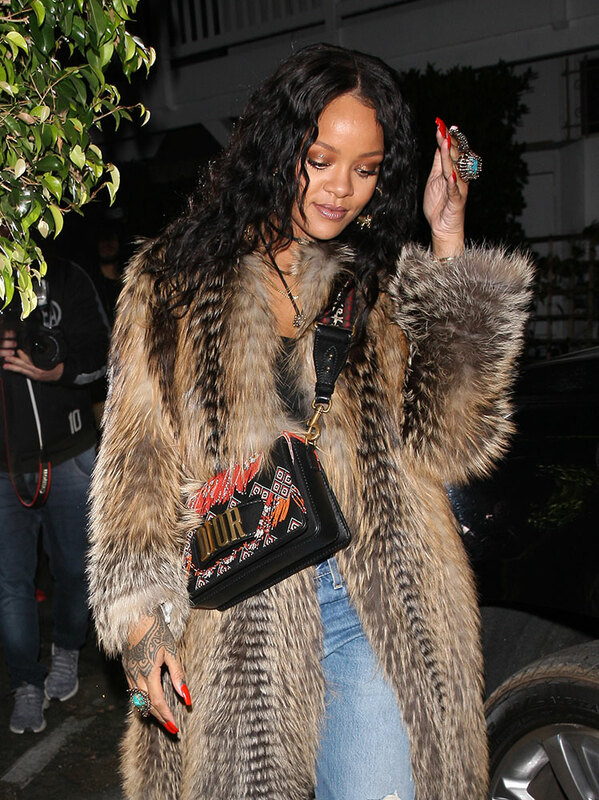 Rihanna brought this colorful, beaded Dior Flap bag to dinner at Giorgio Baldi in Santa Monica. I don't believe this one has hit shelves anywhere just yet.